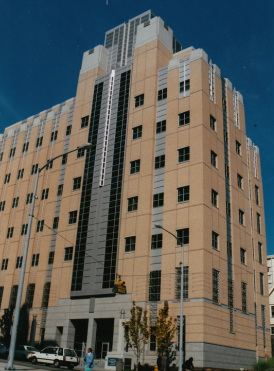 The new facility was designed to blend harmoniously with the nearby historic Harborview Medical Center. Project Summary: This new University of Washington medical research facility with 7 above-grade and 3 sub-grade floor levels, consists of a cast-in-place concrete structure with brick veneer masonry, granite, and pre-cast concrete elements, interrupted with vertical curtain-wall glass as well as individual windows. PL:BECS Services: PL:BECS provided comprehensive guidance during the building’s design phase. 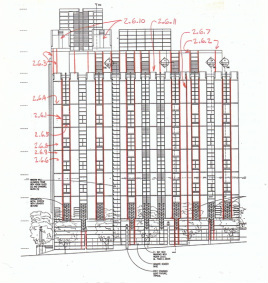 Services included preparation of detailed written recommendations pertaining to the building’s brick masonry and stone claddings, windows and curtain-wall systems, as well as limited aspects of the primary structure’s seismic-resisting approach. 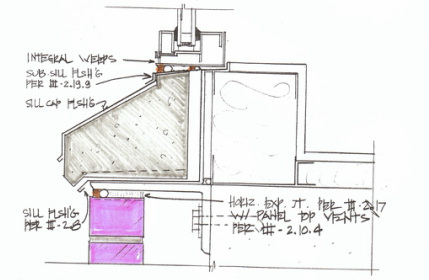 The initial report provided a detailed analysis of common problems affecting masonry veneers as well as specific recommendations for avoiding such problems. It also included a thorough review of the preliminary construction drawings and specifications, which identified numerous specific design vulnerabilities and suggested alternate details, materials, and assemblies to minimize these. Some of the identified vulnerabilities would have produced extensive cracking of the brick cladding all around the building, leakage to the interior at window openings, and similar, costly problems. PL:BECS subsequently worked closely with the architect to fine-tune the design of all exterior elements to minimize the danger of leakage, degradation, and inadequate performance. PL:BECS provided detailed design input for all exterior portions to limit risks of infiltration, cracking, and other deficiencies.